Spotify announced on Friday that it is partnering with Runkeeper and more deeply integrating its own Spotify Running feature into the popular fitness app. Spotify and Runkeeper already offer playlist integration but now, by selecting Spotify as the app's music source, users can leverage the streaming music service's pace-matching algorithms as well. The new features are currently available on iOS and are coming soon to Android. Interestingly, this is basically the same functionality that Runkeeper's own "DJ" feature used to offer. 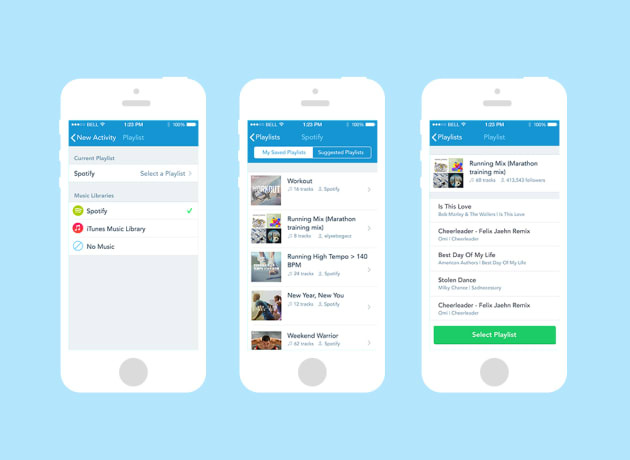 RunKeeper DJ debuted last summer, shortly after Spotify announced Running. However, Spotify integration has been "hands-down one of our most frequently asked questions over the years," Runkeeper's announcement post proclaimed. And in the face of overwhelming customer demand, the running app maker appears to be forgoing its in-house beat-matching service in favor of Spotify's.